North Melbourne is an inner city suburb (initially named Hotham ), it is roughly bordered to the west by Footscray , to the north by Essendon, to the east by Carlton and bordered to the south by West Melbourne and Victoria Market. The suburb itself was the home of Melbourne’s Meat Market (closed in 1974) and a large Gasometer (today site of the Public Records Office of Victoria’s Archives). The Gasometer was close to the Arden Street football ground and a familiar site to football followers. North Melbourne has a working class history and a decision was made in the 1930s to improve overcrowding in its laneways, but the work was not carried out till the 1960’s. Like many of Melbourne’s inner city industrial suburbs, North Melbourne transformed in the 1980’s when housing prices rose rapidly. A large number of apartments in the suburb are now taken up by students studying at nearby Melbourne University. 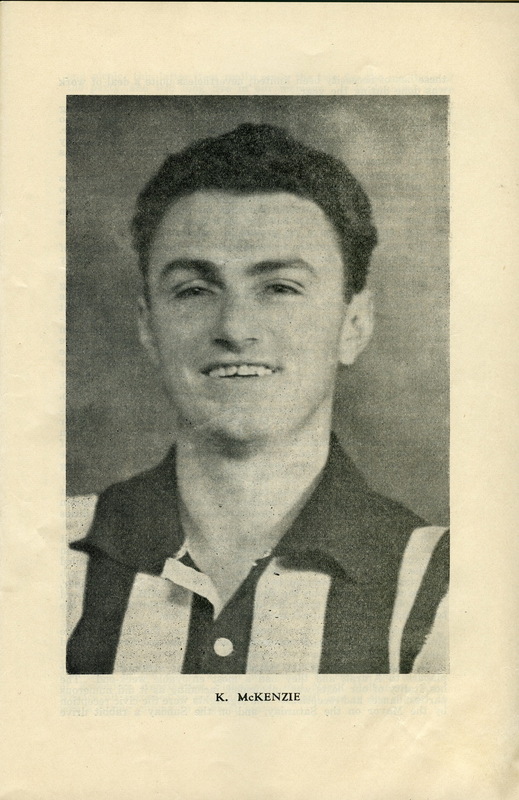 Although a late joiner to the VFL/AFL, North Melbourne Football club is one of the earliest football clubs in Victoria. Formed in 1869 while the suburb was still named Hotham, the club was initially named ‘North Melbourne’ but due to amalgamations was known as Hotham from 1877-1888. When the VFL clubs split from the VFA in 1897, North Melbourne was not one of the teams selected. The reputation of the clubs and the clubs proximity to Essendon (thus competing for the same potential players), are two of the reasons. VFA premierships in 1903 and 1904 were followed by another amalgamation (with 1906 VFA premiers West Melbourne) in an unsuccessful attempt in 1907 to join the VFL. 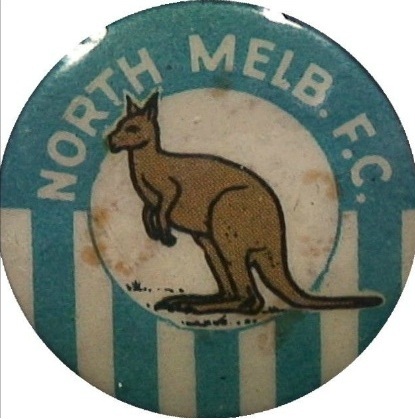 After the merger, North Melbourne changed their colours to reflect West Melbourne's incorporation, though this did not last for long. 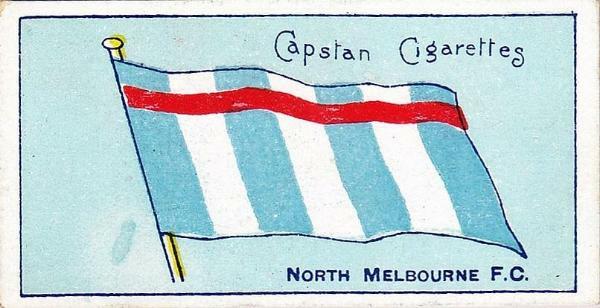 The 1910’s again saw the club successful, with VFA premierships in 1910, 1914, 1915 and 1918. During this time the club won 58 consecutive matches. 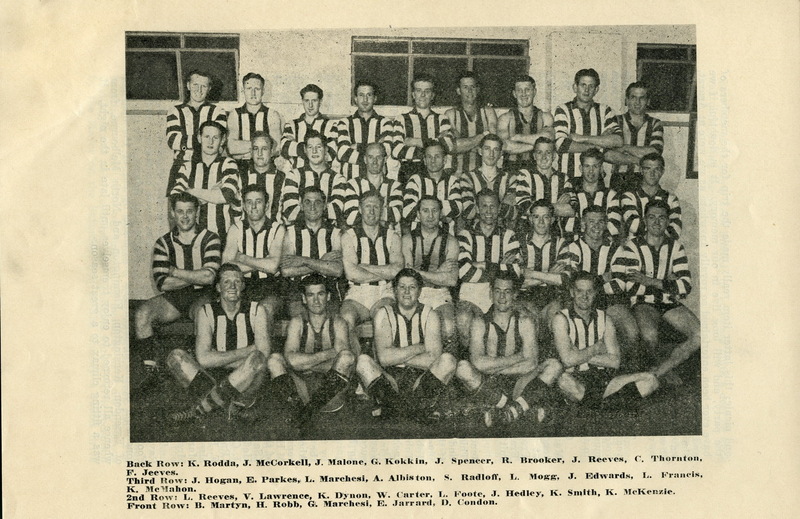 When nearby Essendon’s VFL team lost their ground in 1921, North Melbourne attempted another amalgamation, but after a number of players had already transferred to Essendon’s VFL team, the plan fell through when Essendon’s VFL team moved to Windy Hill, leaving Essendon’s VFA team without a home. 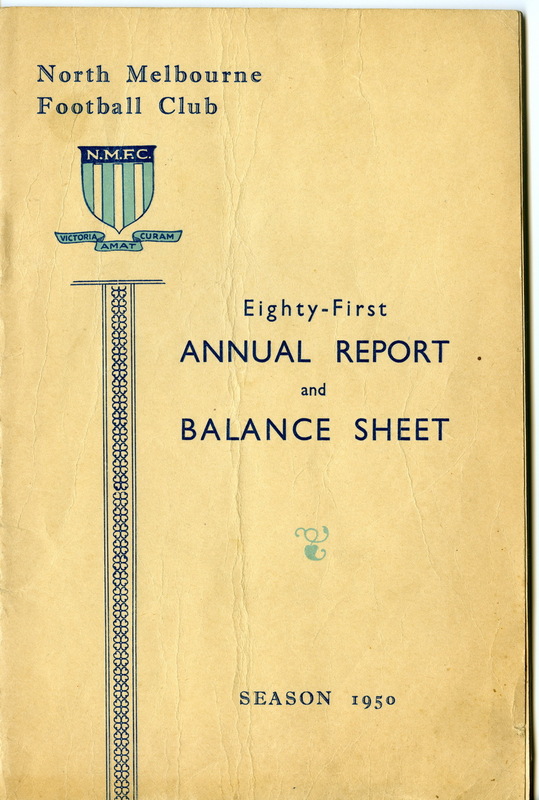 With North Melbourne without it’s players and Essendon Association without a ground, the two teams amalgamated for the 1922 season. 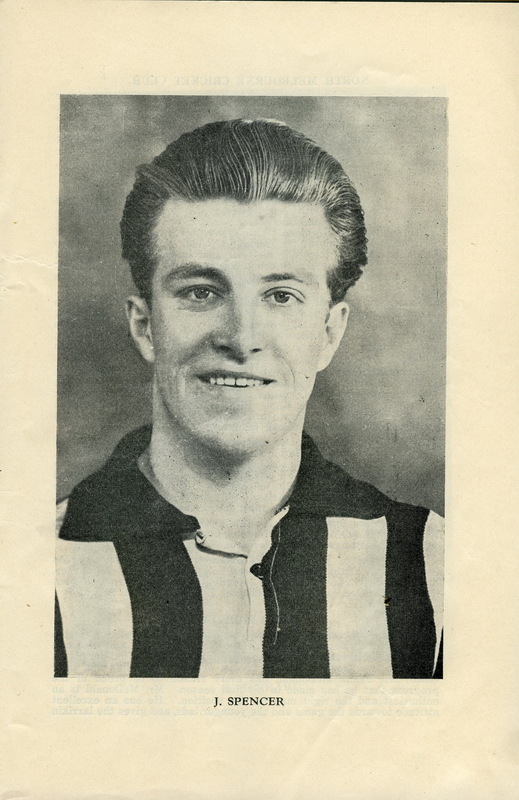 Entry to the VFL was gained in 1925 and the Shinboners had to again adapt. Between 1925 and 1944 the team won 8 wooden spoons and were regulars at the bottom of the table. 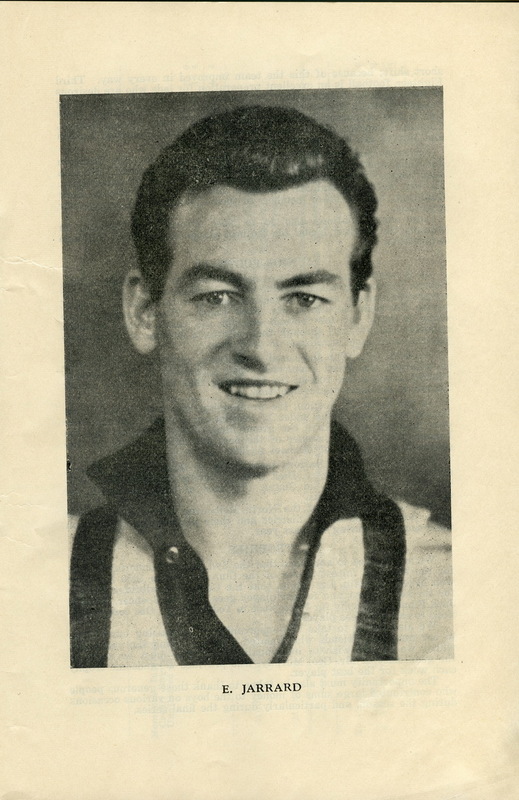 In 1945 North Melbourne played it’s first final with Don Condon, Kevin Dynon, Les Foote some of the young players in the team. 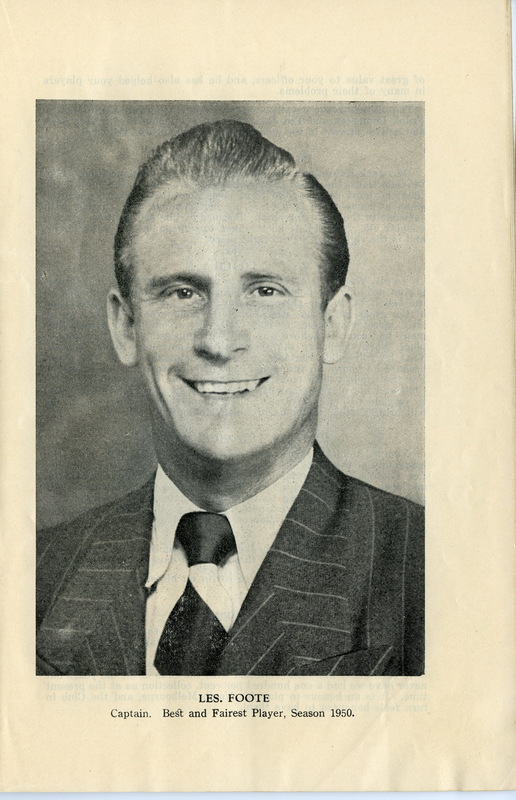 In 1949 and 1950, the team was again in the finals and in 1950 losing to Essendon in the Grand Final), with the team adding more young players such as Jock Spencer and Gerald Marchesi and now coached by ex player Wally Carter. 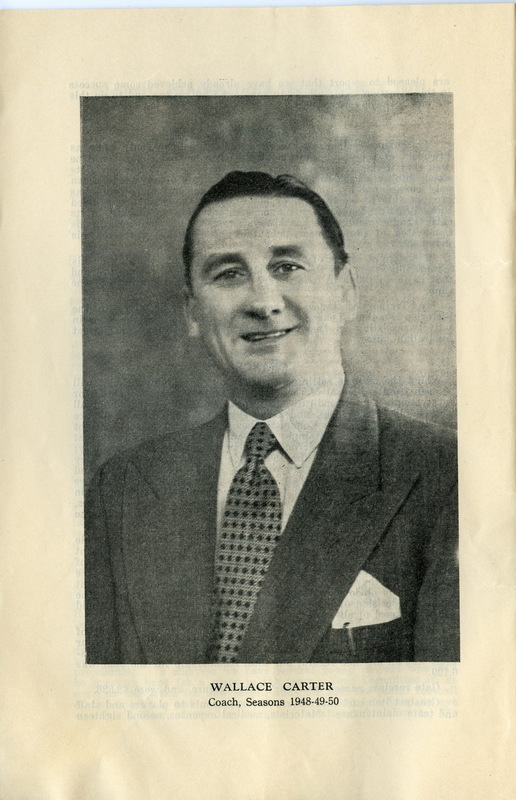 Carter played with North Melbourne 1929-40 and then coached 1940,1948-53 and 1958-62. 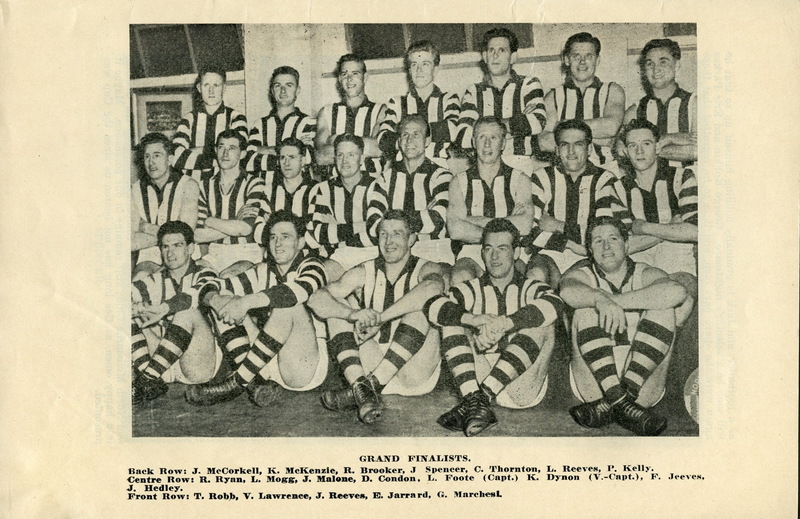 From 1945 to 1960 the team often finished in the middle of the table with more finals appearances then trips to the bottom. The 1970’s saw a turnaround in fortunes, with Ron Barassi as coach, the Kangaroos won their first VFL premiership in 1975 and then another in 1977. After leaving Arden Street for the MCG in 1985, a new era saw further premierships in 1996 and 1999.